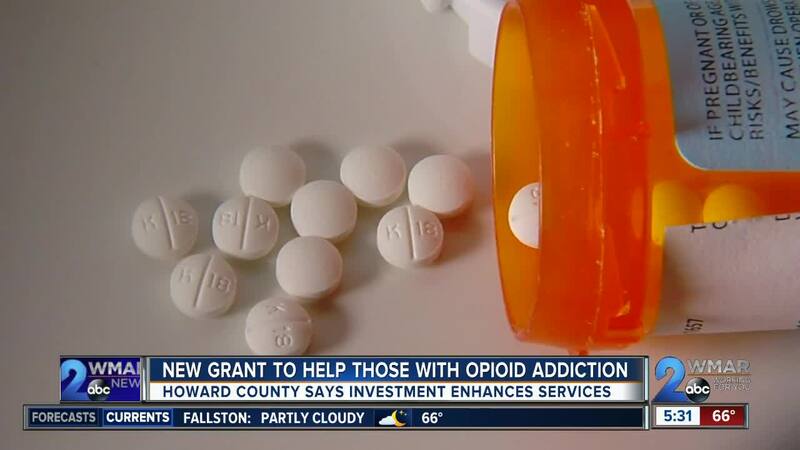 A new million dollar grant is helping Howard County battle against opioid addiction. The county will establish a new 24-hour crisis service to help those who may need help. COLUMBIA, Md. — It's heavily publicized. Opioid addiction is plaguing all of the country, including in Howard County, where the local government wants to use a grant to help those who may be struggling with addiction. If you saw him, you wouldn't think so, but Sean Ford has seen his fair share of struggle. "It was a couple of years before I reached the point where I said I'm sick of fighting this battle every day. I needed to get help and I did and now I'm here three years later and I couldn't be happier," he said reflecting on his time dealing with opioid addiction. His roots are in Howard County. Ford graduated from high school in Ellicott City, but not before being introduced to the addictive drug after a trip to the dentist for gum surgery. "I've had multiple friends who have died from this. One at Centennial [High School] and two at Howard [High School] that were a bout my age. So it really hits close," said Ford. The near decade-long battle of addiction had a strong hold on Sean's life until one day he decide it was time to get clean. Now he's advocating for a program he believes will help those in similar shoes get the help they need...faster. "This grant funding will allow Howard County to expand the continuum of treatment services including on-site crisis stabilization services," Dr. Maura Rossman, the health officer for the Howard County Health Department, said. The county announced the million-dollar grant that will come here to the Grassroots Crisis Intervention Center in Columbia. As the national opioid epidemic claims the lives of tens of thousands, including 31 in Howard County. The money will allow the county to close a gap from referral to treatment. In what was once weeks before a new bed opened to new patients, the funds will shorten that time to just a few days with a larger space, more beds, and a round the clock care team to be with those who may have struggled and grew impatient with the wait. "When there finally is a bed they might not still be willing to get help. They might be out using, they might be x,y,z. So it's really important to have that instant help that this new grant will be able to do," Ford said, satisfied with going three years drug-free and working as an aide in Annapolis.